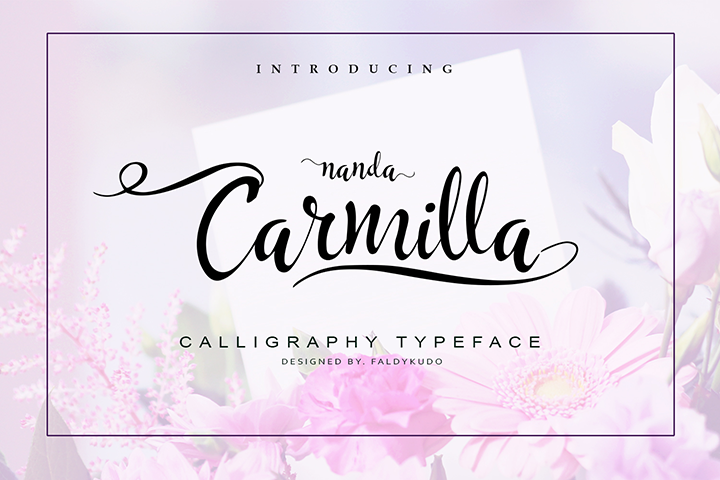 Carmilla contains standard characters, lowercase, uppercase, numbers, punctuation, ligatures. This font also comes with two sets of alternate lowercase characters with initial and end swashes. In order to use special character / ligature / stylistic alternates or swash, you need a program that supports OpenType features such as Adobe Illustrator CS, Adobe Photoshop CC, adobe Indesign and Corel Draw.